Being a good chef takes a lot of hands on experience, plenty of failed attempts, and some well-honed taste buds to decipher what flavors work well together. We have none of those skills. If only making a good meal was as easy as executing a recipe in IFTTT (If This, Then That), the mobile version of the web service that first appeared in 2010. The app makes all of your other apps work better by creating ways for them to work together. IFTTT is all about creating what it calls “recipes.” These recipes are essentially commands that you create within the app that it then dictates to other apps and services to create a new function that otherwise wouldn’t happen. It’s kind of confusing when you’re trying to imagine it, but when you see it in practice it makes total sense. An example recipe would be something like “If tomorrow’s forecast calls for rain, send me a text message.” IFTTT then sends that command to the two apps that it runs through, Weather and your SMS service of choice, to provide you with a text update if there is rain incoming. If you’re unsure of how to make the most out of IFTTT, don’t worry – you don’t have to sit and try to come up with recipes on your own to actually get use out of it. You can borrow recipes that others have created. You can sort through existing recipes by popularity and use to get ideas or try out commands that others have found helpful. You’d be surprised at some of the combinations that people have mixed and matched to come up with and just how useful they end up being (and why the app creators didn’t come up with the idea in the first place). You can even search for recipes by app to see what others have come up with before you head into the laboratory yourself. 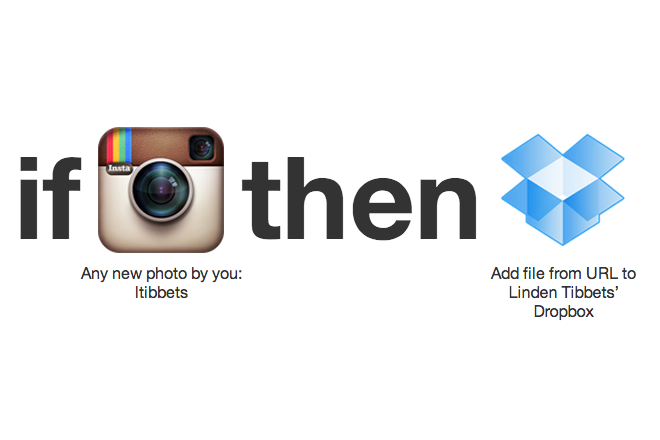 You shouldn’t feel too intimidated to create your own recipes with ifttt, though. The most amazing part about the app is that it allows you to make events happen without any programming knowledge. All you have to do to make a recipe is pick a service that you’d like to get a new function out of, figure out how you’d like it to manifest, and hit the “Finish” button to put it into action. It’s extremely simple and essentially just has you pick options from a list of possible actions to come up with your creation. Those actions are so plentiful though that you’ll never have a shortage of ways to make apps interact and work together. It is possible to make recipes that do not work. You can come up with a brilliant idea to make some feature that you believe should exist but you were never able to do only to have it shut down by the fact that it’s just not possible. IFTTT isn’t great about letting you know why something isn’t working or where the hang ups seem to be, but you’ll also know it’s not working as soon as you try it out so you aren’t totally left in the dark about it. Hang ups caused by the apps themselves are the only downside of IFTTT. Whether you’re looking to get more use out of particular apps, create specific types of events that will make your life easier, or just take a look at what other tech-centric minds out there have come up with to improve app features, IFTTT is worth a download. Warning: If you’re someone who is especially concerned with apps sharing information with one another, reconsider downloading this app. It’s going to ask you to log in to everything and give permission to use your information when needed. If that’s something you’re comfortable with, then get into IFTTT, play around, and see if you can’t turn your apps into services you never knew you couldn’t live without until you made it. 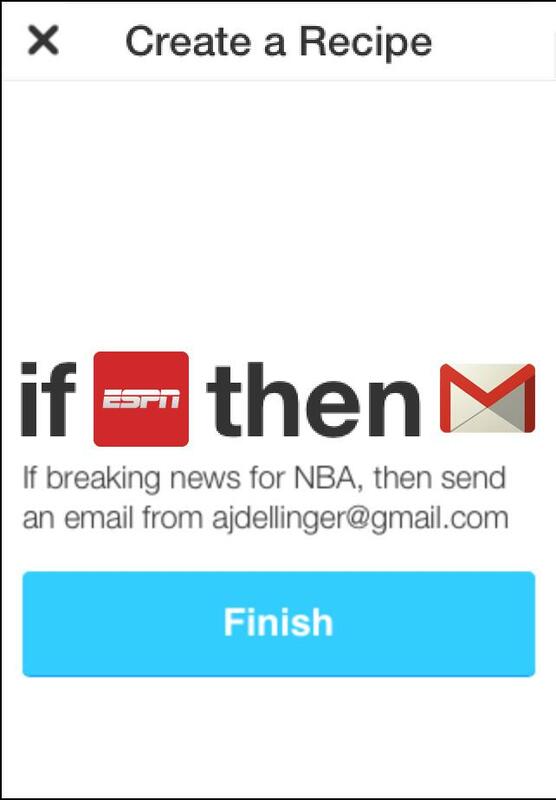 IFTTT can be downloaded for free from the iTunes App Store. Why does the NSA need your phone records to track terrorists?